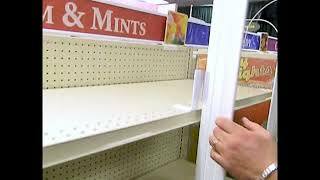 There are many locations in center store, shelf and pegged areas, end cap sides, greeting card, cooler/freezer doors, perimeter and check-out poles that are high traffic and high profile locations which both the retailer and CPG brand should capitalize on with creative graphic solutions. We offer the perfect solutions for highlighting products and/or Brands throughout the entire sales floor and for virtually all store categories in the retail industry. 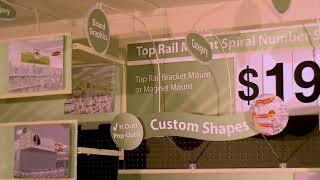 Perfect solution to hang Brand or category informational signs from the upright and peg wall. Highlight brands to increase brand sales and help customers navigate through your store by emphasizing categories within departments. 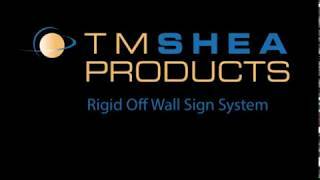 Available in various lengths and hook configurations for all sign materials and sizes. 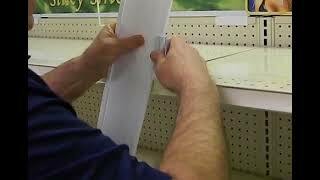 Perfect solution to hang Brand or category information signs from the upright and peg wall. Highlight brands to increase brand sales and help customers navigate through store by emphasizing categories within departments. Available for all sign materials and sizes. Perfect solution to hang Brand or promotional information signs from the side rail, check-out pole or flat metal surface. Available for all sign materials and sizes. Introducing our new visually exciting and interactive AdCube Spinners. They are ideal for in-store marketing, entryway placement, perimeter race track, and the checkout/front end area. 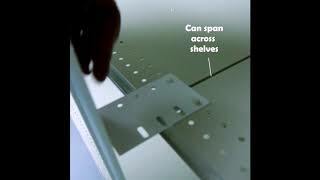 With multiple options for shelf edge signage, we have the perfect solution for all your 'shelf talker' challenges.